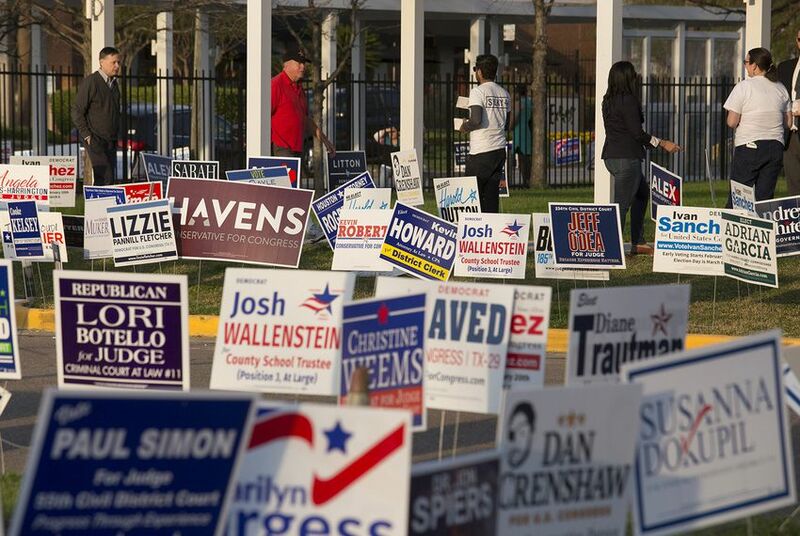 A low-key, low-turnout primary runoff election Tuesday set the slates for November's general elections — starting with the Democratic nominee for governor. The top of the general election ticket was set in March, when U.S. Sen. Ted Cruz, a Republican, and U.S. Rep. Beto O'Rourke, a Democrat, won their parties’ nomination for U.S. Senate. This year, with Gov. Greg Abbott’s relative popularity and huge financial advantages, Texas Democrats advanced two largely untested candidates to the runoff. And on Tuesday, voters chose former Dallas County Sheriff Lupe Valdez to challenge the incumbent in the general election. For Democrats, that was best exemplified in the 7th Congressional District, where national Democrats — through the Democratic Congressional Campaign Committee — endorsed Lizzie Pannill Fletcher over Laura Moser. That initially seemed to help Moser more than it helped Fletcher, turning a local campaign to challenge U.S. Rep. John Culberson, R-Houston, into a family fight among the Democrats. But when it was over on Tuesday, Fletcher won easily, setting up a November contest where the incumbent Republican will be defending himself in a district where Hillary Clinton beat Donald Trump in 2016. At the same time, Republicans argue, Culberson himself was winning and statewide Republicans won their races by an average of more than 11 percentage points.